The ancient thinkers and modern investigators tried to unite mysteries, religions, cults, tales and scientific knowledge into one and universal scheme of world construction. During many centuries the great minds of all times and nations, alchemists of the Middle Ages tried to discover the Magic Crystal of Life in order to cognize the Truth. The followers of Christianity unsuccessfully had been looking for the Cup of Graal to drink the nectar of eternal wisdom. But the truth and the way to it were always much more closer to a man. They are in another continuum of world understanding. Knowledge of the essence of world construction was given through generations in the form of mysteries, tales, signs, and symbols which, for example, were used by Jesus Christ. So the universal sign code presented in geometric and mathematic systems served as the mysterious key to eternal knowledge. It was known to ancient people that knowledge is ciphered in different game techniques (chess, cards, etc. ), in alphabet, in ornament and other sources. And they also knew that knowledge would gradually enter the everyday life of mankind. And when the mankind is ready to adopt the knowledge it will really break into the world transforming it and opening the way to a new space--time continuum of life of the future mankind. Then the Babel will stop and people will speak the language of the Universal regularities. And the eternal truth will serve the evolution of civilization. This is the interdisciplinary science of Universology that is seen as the universal language, which synthesizes the world culture and modern scientific achievements. Man’s development (as well as life itself) cannot be effective if management system isn’t constructed according to the universal (i.e. the most effective) scheme reflecting the Universal Laws of being. And only registration of all the factors of development (as its causality) forms the conditions for life perfection. From the ancient times the main purpose of appearing of different sciences was the essential need of substantiation the phenomena of surrounding world and prognostication of the most effective ways of development of the mankind. But the science had no true criteria of the most effective development of society and civilization because the causal and system character of the development process itself hadn’t been discovered yet. And though the process of the world cognition is actively going on now it is realized only empirically. The world of causes as multilevel interconditionality causing all the phenomena of life still remained unknown. As well as the answers to the eternal questions: What is life? What is the sense of life? What is the purpose of life? How does life create all its variety having so deep interconditionality? And only with the appearance of a new synthesizing science Universology the causal fundamentals of world construction were disclosed. Also system and transition processes were described and the possibility of multilevel intersystem prognostication was given. The discoveries of the universal regularities of world construction (on the basis of synthesis of sciences and the world culture achievements) are taken as the main principles of forming of new creative world outlook of the mankind. They are also the basis of the universal models of the most effective production methods, prognostication, diagnostics, construction of healthy life style and happiness of a man. Allegorically the name Universology means the unique language which people learn to speak after the Babel when they began to speak different languages and the eternal truth was buried in oblivion. The sign system renovated on the basis of the theory of the universal regularities of life systems and the theory of relativity of consciousness will serve as the Universal language of mankind. Thus Universology is an interdisciplinary science about the universal regularities of construction of micro- and macrocosm. Universology substantiates the universal approach to the investigation of causes of appearing of multilevel life phenomena and their system and interconditional development. Universology considers relative simultaneity of subject-object relations in which consciousness is determined as ability of reflection (as cognition) and transformation (as integration and management) of vital space (with its gradual forming). Hence the universalization, i.e. optimization, is achieved. It means simplification of constructing and development of social-economic systems, their interaction especially in a man’s genesis. What is the Difference Between Universology and Other Sciences? New epoch demands new knowledge of world construction. Allegorically if one is going to construct a new Temple of Life he should have the perfect Project of this Temple construction. Thus Universology as the science of universal world construction and life development creates the project of the most efficient conditions and actions for constructing the new Temple of the new world. The life systems are built on the fundamentals of Being : the Cause ( nuclear, center, impulse, etc.) from which the manifestated world, i.e. the Effect (orbits, matter, etc.) appears. 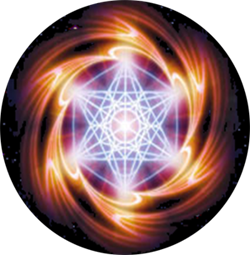 That is why the cause- and- effect relations are taken as the basis in Universology These relations always being repeated are the grounds of multilevel life of micro- and macrocosm. Try to name something more universal than the Cause as the fundamental of everything existing in the world and the Effect as the result of the cause action. So all life systems both in micro- and macrocosm are born and developed by the action of cause- and- effect relations which are projected to the inner structure of the system itself and its outer interactions. The Fundamentals of Being and Universalities of Life. Thinkers of all times (in different interpretations) based their thoughts concerning world construction on the statement that Everything has its beginning from the Great Non-being – from the primary Source of Life. It is also called the Primary Matter or world vacuum. Its definite conditions are manifestations of space and time relations named by us as the matter. It is the appearance of dualism, i.e. the cause and effect both of male and female primary principles that creates Life: Yang and Yin as the mirror due to which we are capable to see ourselves. Such is the first paradox of Sphinx. Sphinx has the body of an animal as the symbol of nonperfection of the past but it has the head of a man as the perspective of the future. Sphinx blocks the entrance to the Pyramid. But when a man overcomes his dependence on bestial nature (i.e. the Sphinx’s body ) then he will reach freedom by means of four qualities ( the Sphinx’s head ), i.e. the four sides of pyramid foundation : responsibility, discipline, aspiration and constancy. Then the entrance to the Pyramid will be open to a man. And this is the purpose that means the ascent to the heights of the Truth. Such is the second paradox of Pyramids – the code of universality of the Sign System of the Universe. The eternal dualism of cause-and-effect connections is reflected, for example, in the basis of life itself – in the nature of light. The Light when spreading demonstrates duality: the properties of a wave and properties of a flow of particles. This is the basis of quantum dualism. So is a man being a particle of evolutional flow of life of civilization, planet, cosmos. To be in need for this world one should become a conductor and co-creator of evolution flow of life in the spreading wave of development stimulating the forming of consciousness of unity of personalities into a collective, society, humanity, planet, cosmos. It is said in ancient legends that the world reposes on three whales and four elephants. This is the Universal sign measure: 3 and 4. 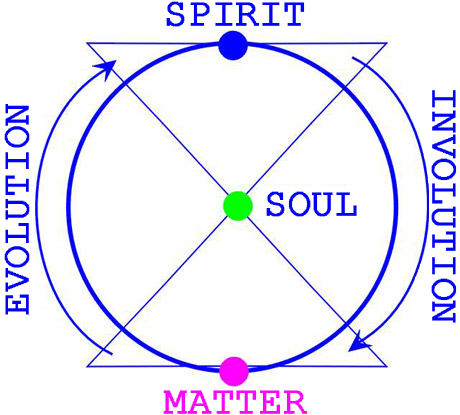 Plato stated that there was a triad as the basis of life: spirit, soul and body (allegorically 3 whales). It corresponds to the traditions of Christianity and Islam: the Father, the Mother and the Son or the Father, the Son and Saint Spirit. In Hinduism it corresponds to Brahma, Vishnu, Sheeva. Long ago Aristotle said: “Plato is my friend but the Truth is more important”. He described 4 fundamentals (allegorically 4 elephants): the 1-st is the matter itself (its particles); the 2-nd is the form (organization of matter); the 3-rd is the movement of the form and the 4-th is the purpose of its movement. The ancient philosophy investigating the causality of all the phenomena always pointed out not only the two components: cause and effect. It also considered the transitional process between them. It means triplicity: the cause-interconnection-the effect. At the same time each component of the causative triad also contains triplicity but of smaller order (3+1+3=7). Such is the third paradox of “Hierarchy Stairs-the seven levels of life systems”. Besides the fundamental principles were differentiated in various traditions as divine pentagram, fivefold divine man, and six-pointed David’s star. 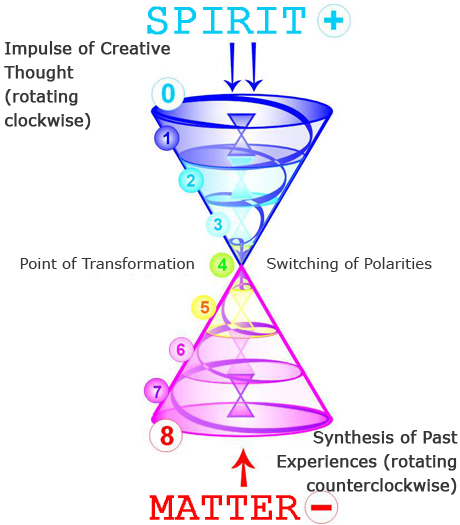 The Hierarchy of seven stages of descent of development impulse into the matter was considered as the Life-creating thought. And step by step this thought creates the life system (its space of manifestation and time of development). It goes through 12 qualities of cognition of development essence (or 12 stages) presented in ancient myths and legends as 12 Gods of the Olymp, or 12 Apostoles, or 12 Saint Constellations of Zodiac. In Universology the main question of philosophy: What is primary and what is secondary? and as the result: Is the world cognizable? also finds its decision. The answer is very simple: something cannot exist without the cause of its appearance as one pole cannot exist without the other. Two principles – consciousness (the thought) and the matter should coexist at the same time in relation to each other. Consciousness is the reflection that is born as the result of interaction and further transformation of interacting principles. But without the matter (as the space of interaction) reflection doesn’t appear and certainly consciousness is not born. It is the logic conclusion that demonstrates eternity and endlessness of the Universe. And at the same time it illustrates the limits of our world outlook based on the finite categories. And only the Universal laws of Being make the world cognizable but relatively to that life level where a man learns to see the manifestation of the given universalities. Such is the basis of the Theory of Relativity of Consciousness. 2. 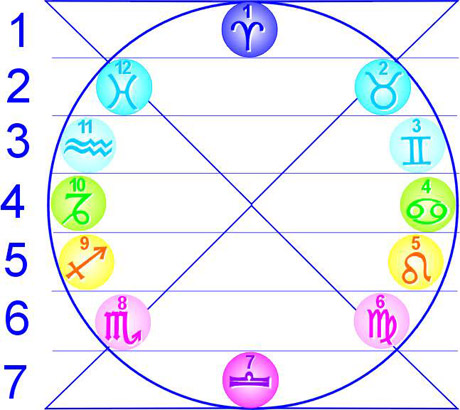 And then accumulation of experience of 12 qualities opens 7 stages of ascent that demonstrates quaternary. It in turn forms the triad of experience (Manas as structure, Booddhi as integration, Atma as management) that is trinity of being. And again it creates the duality as “the returning of the Prodigal Son to His Father’’, i.e. to the primary source of Life. 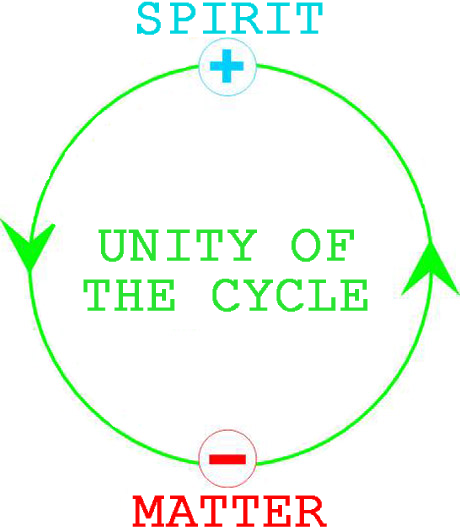 The Father and the Son integrate into Unity, into condition named Primary Matter from which the next circle of Life will begin later on. 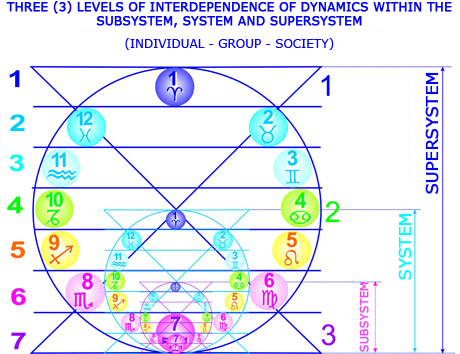 Such is the paradox of cyclicity – the 12 Gods that are the Way of Development 1-2-3-4-7-12-7-4-3-2-1. Thus various notions about the fundamentals of being and life always preserved their universality in measures of these fundamental principles.